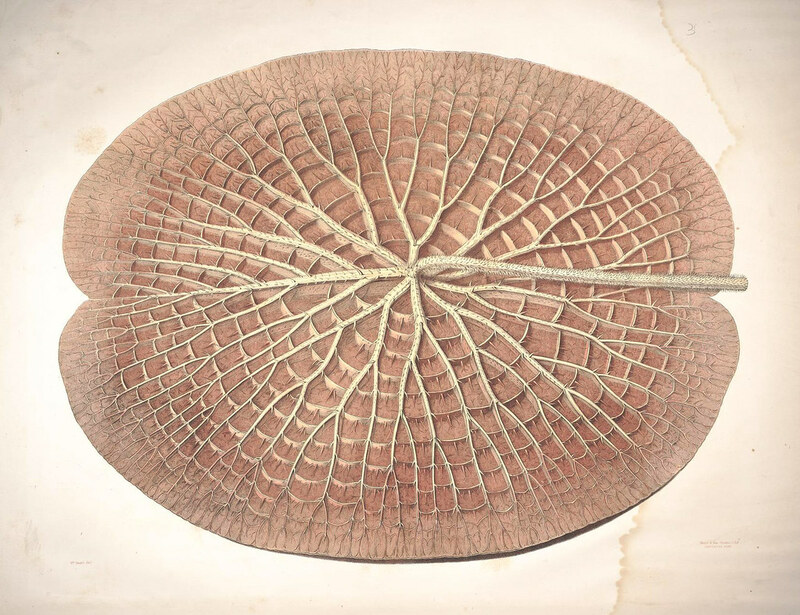 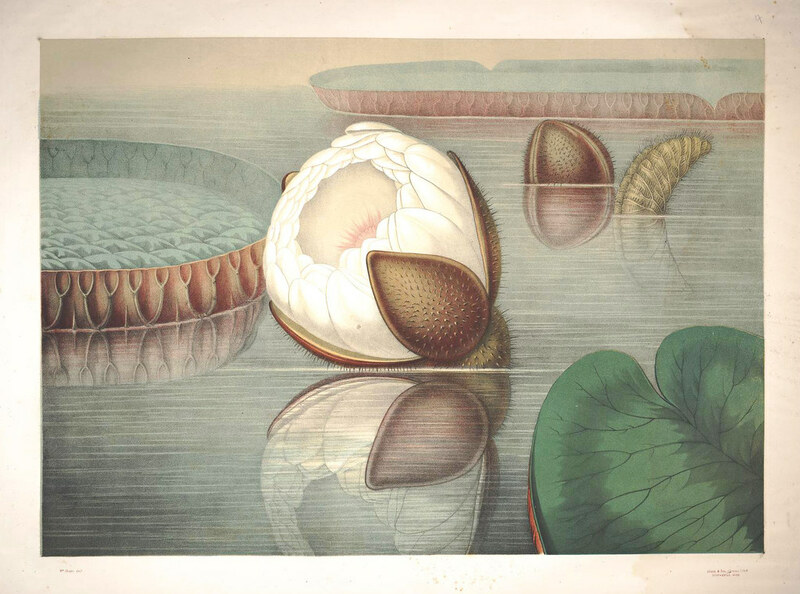 These six magnificent colour lithographs are to be found in Victoria Regia, or, The Great Water Lily of America: With a Brief Account of its Discovery and Introduction into Cultivation (1854), a work by amateur botanist John Fisk Allen which documents his attempts to propagate the Amazon’s Victoria regia (now called Victoria amazonica) in the more northerly climes of his hometown of Salem, Massachusetts. 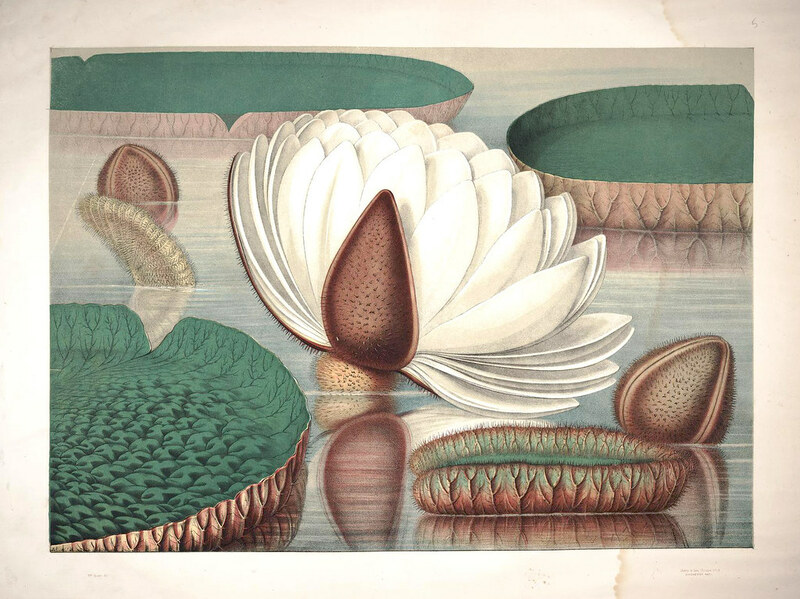 The wonderfully lavish plates accompanying the slim volume are the work of the British-born printer William Sharp, who is credited with creating the very first chromolithograph on American soil — a portrait of Reverend F. W. P. Greenwood. 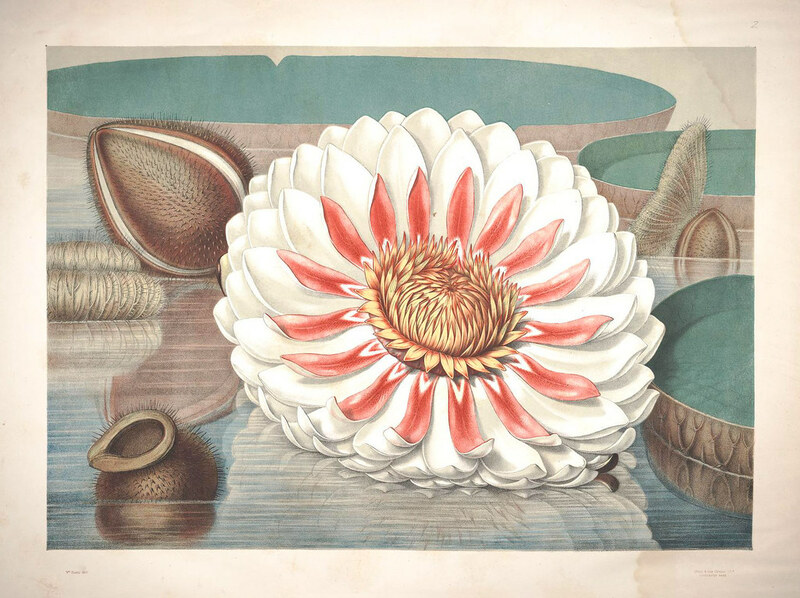 These images produced for John Fisk Allen’s book are, according to Christies, the “very first colour-printed lithographs produced in America”. 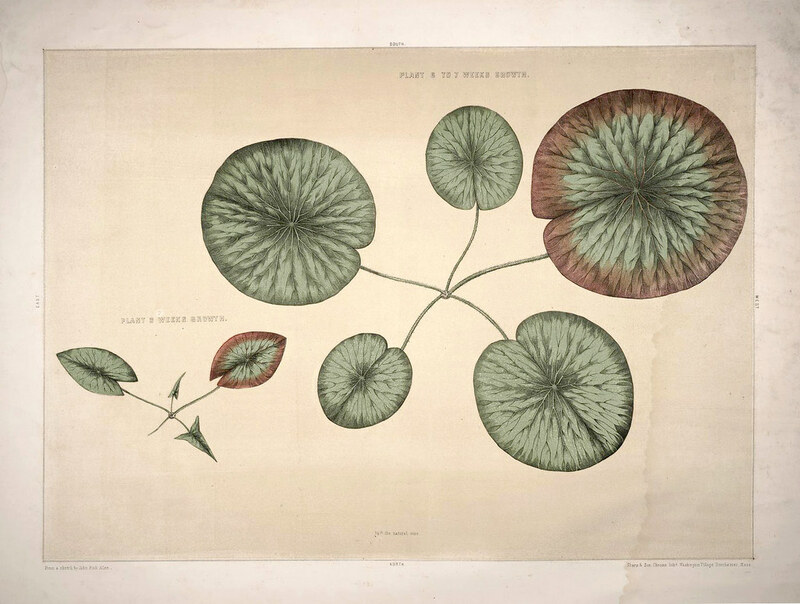 Why they are ignoring the Greenwood portrait, we are not quite sure: it could be that they mean a first in the context of large scale colour printing, as opposed to a one off; or perhaps it is a reflection that some believe it likely that the Greenwood portrait was actually a lithotint with colours printed from a single rather than the multiple stones normally associated with chromolithography. 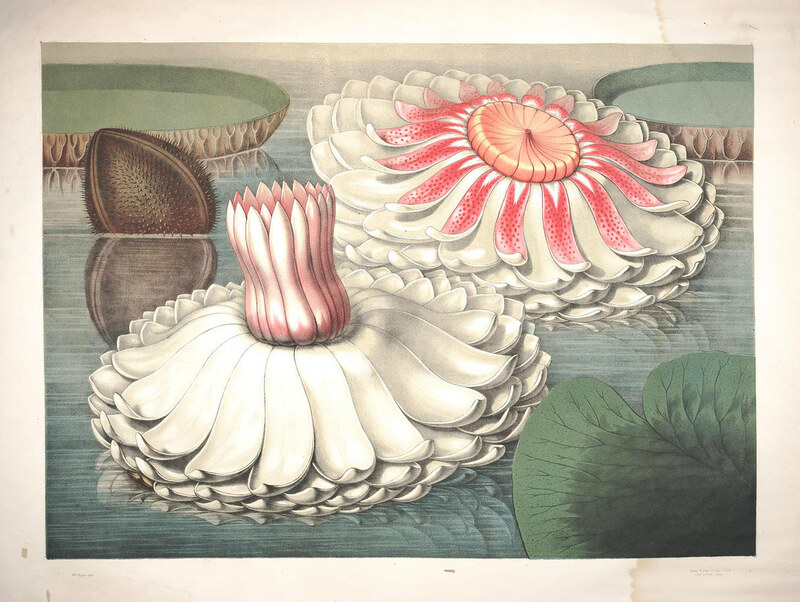 In any case, with their bold and stunning depth of colours, these water lily images by Sharp stand out as some of the finest examples of chromolithography, an art which at the time was only in its infancy.